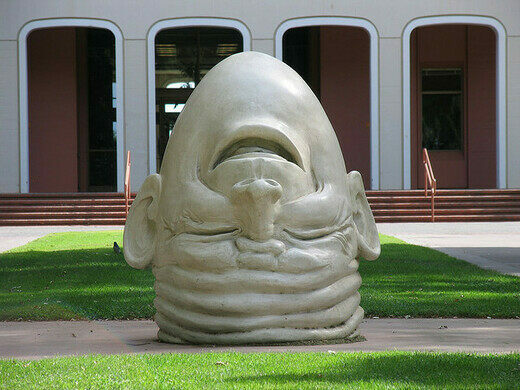 The Eggheads are a series of five ceramic sculptures (with seven total eggheads) by artist Robert Arneson scattered around University of California, Davis’ campus. Each statue was created to reflect the specific location on campus where it was originally located. 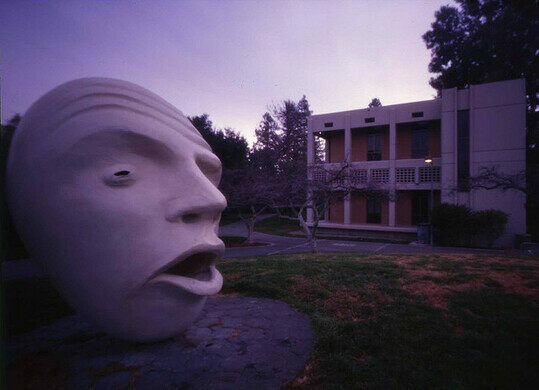 In 2009, UCDavis announced that the two heads outside the law school (officially titled “See No Evil, Hear No Evil”) would be moved to the front of the main administrative offices to make way for a $30 million renovation and expansion project at the university’s law center. Arneson’s Eggheads were first installed in 1994. 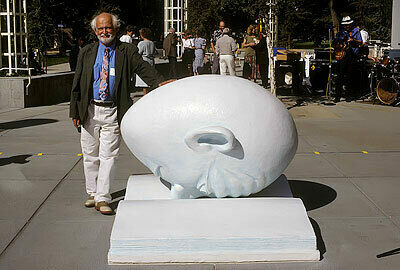 Commissioned in 1989, the Eggheads were completed just before Arneson’s death in 1992. (Arneson taught at the school from 1962 until 1991.) Each head weighs a few hundred pounds. 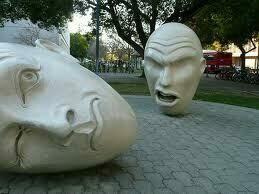 Reproductions of two of the eggheads was installed in San Francisco in 2002. The other four sculptures in the series are: * “Bookhead”, installed outside the main campus library * “Eye on Mrak”, on the pedestrian mall behind the campus administration building (Mrak Hall) * “Yin and Yang”, outside the art building * “Stargazer”, on a small quad at an eastern pedestrian entrance to the campus.